Steroids are essential molecules for life in all complex organisms such as animals and plants. Researchers from the VIB-UGent Center for Plant Systems Biology, the University of Technology Sydney Climate Change Cluster and the University of Queensland have now discovered a new central enzyme in the steroid biosynthesis pathway in some modern organisms. This might not only lead to an evolutionary re-think, but also opens new ways to control toxic algae in aquaculture. Their findings have been published in Nature Microbiology. The study is an international collaboration co-led by the University of Technology Sydney Climate Change Cluster (UTSC3) and VIB-Ghent University scientists together with the University of Queensland. 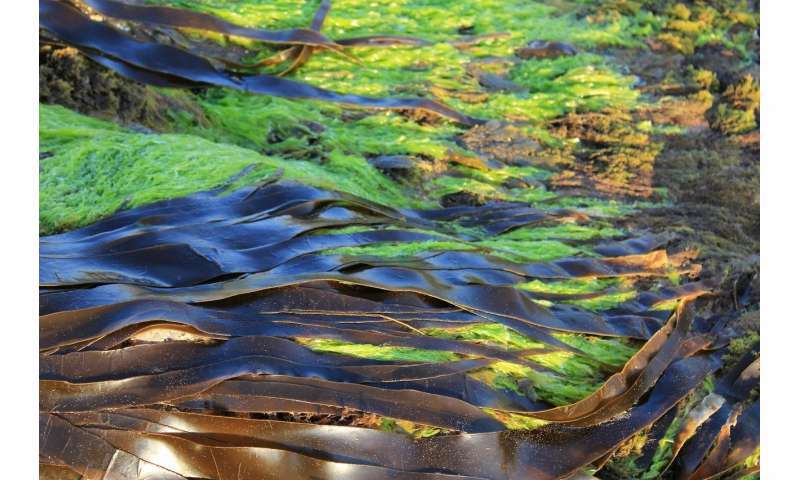 Dr. Michele Fabris, co-author and CSIRO Synthetic Biology Future Science Platform Fellow at UTSC3 says that the team's interest was sparked by earlier research suggesting a novel, alternative enzyme for steroid biosynthesis might be hiding in some microalgae species. "Sterols are essential components of all eukaryotic cells. Without sterols, plants, animals and fungi couldn't live. We all rely on the same ancient metabolic machinery in our cells that emerged more than 2 billion years ago—or so we thought," he says. Prof Alain Goossens, a leading specialist in plant metabolism at VIB-UGent Center for Plant Systems Biology says that according to the biochemistry textbooks, the enzyme responsible for the first and most important step in sterol biosynthesis, squalene epoxidase (SQE) was believed to have been carried on by all modern organisms from their common ancestor. Lead author, VIB-UGent researcher Dr. Jacob Pollier, says that to the contrary, they found "many organisms use an alternative, completely different enzyme, an alternative SQE (AltSQE). Nature has come up with a different way of carrying out a function that is key to life. We don't know why yet, but it has profound implications on our understanding of the evolution of life as we know it," he says. A rethink on the accepted view about steroid biosynthesis may also open potential routes to control harmful toxic algae and parasitic infections that impact the aquaculture industry, causing seafood poisoning in humans and economic damage, respectively. Although not the focus of this study, the discovery of this novel enzyme could find applications in this space. "Because the sterol pathway is a necessary function for these organisms, the enzyme carrying out the key step may offer a novel, potential kill switch, if properly targeted," Dr. Fabris says.